Spoken Word Artist. Poet Beau Williams is an All-Ireland Poetry Grand Slam Champion. Beau Williams is a performance poet, writer, organizer & facilitator from the United States. He is cur-rently based in Galway, Ireland. 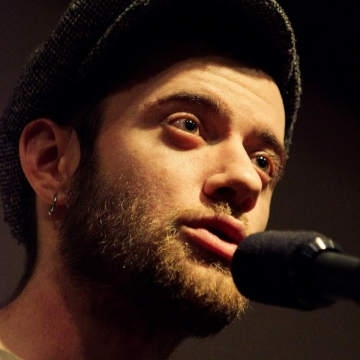 Launching his career in venues of the New England region of the States, Beau has performed his work as part of collectives as well as solo across the US and Ireland along with competing for Manchester, NH & Portland ME in the National Poetry Slam. In January of 2017, Beau was the Artist in Residence at Burren College of Art in Ballyvaughan, Ireland. He is also the Head Organizer of the Glasshouse Poetry Open Mic in Galway. Currently, Beau is studying at the University College of Cork in the Masters in Creative Writing pro-gram; is the All-Ireland Poetry Grand Slam Champion of 2018; and remains fairly optimistic.